El Camison is a residential complex consisting of apartments and townhouses. 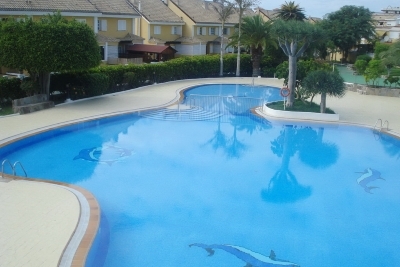 There is a shared pool (unheated) with surrounding sun terraces, childrens area and gardens. The complex is situated on the border of Los Cristianos and Playa de las Americas and is within a few minutes walk of Playa de las Vistas and even closer to the Mercadona Supermarket. It is also close to all the best restaurants and bars in the area.